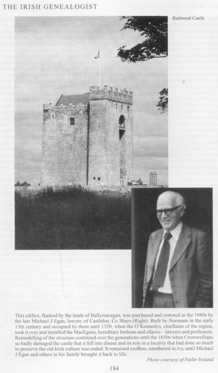 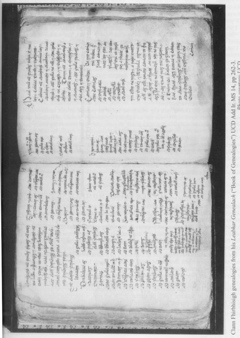 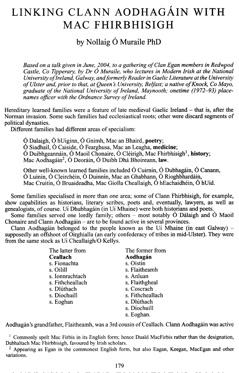 In 2004 Dr Nollaig O Muraile gave an address to the Clan Egan at Redwood Castle, Tipperary. 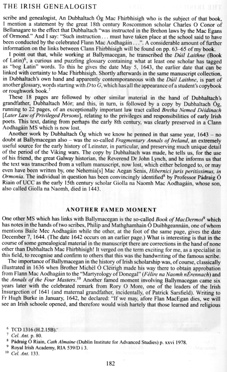 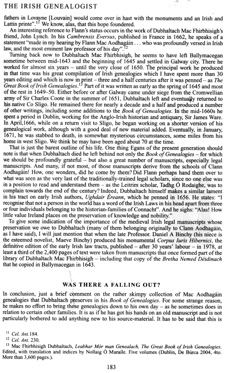 An article based on his address is reproduced here from The Irish Genealogist, Vol 11, No: 3, 2004. 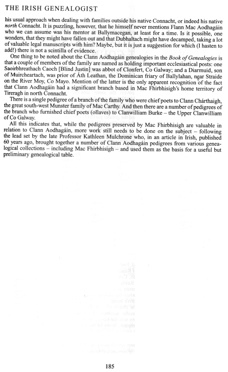 This is the official journal of the Irish Genealogical Research Society which was founded nearly 70 years ago in London. 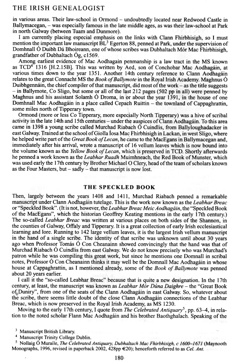 The journal is edited by John Egan, long-time member of the Clan Egan.